It’s an exciting thing when a young toddler is ready to transition out of the crib, but for parents it can come with some trepidation and emotion. Whether you begin transitioning to toddler bed at 18 months or hold off to begin transitioning to toddler bed at 2, most parents are worried about how their child will adjust. Let’s be honest, if you are a parent about to move your child from crib to bed you are probably searching for “how to get toddler to sleep in toddler bed” or “how to keep toddler in bed.” The fear is that transitioning from a crib to an open bed will disrupt your child’s sleep. The last thing any parent who has just survived the sleep deprived baby stage wants is a toddler who suddenly runs around their room all night or shows up suddenly at their parent’s bedside instead of sleeping soundly. Note: more on whether you need a “toddler” bed below. I love THIS BED by Zipadee Kids! My husband and I were both excited about and dreading the transition from crib to bed for our oldest daughter. We knew she was ready and we were so excited for the joy it would bring her to break free from the confines of her crib. However, we also had a six month old who had only been sleeping through the night for a few months and we were dreading any disruption to the sleep that we had just begun to get again. However, since we knew it was time, we took the plunge – and it went more smoothly than I could have imagined! 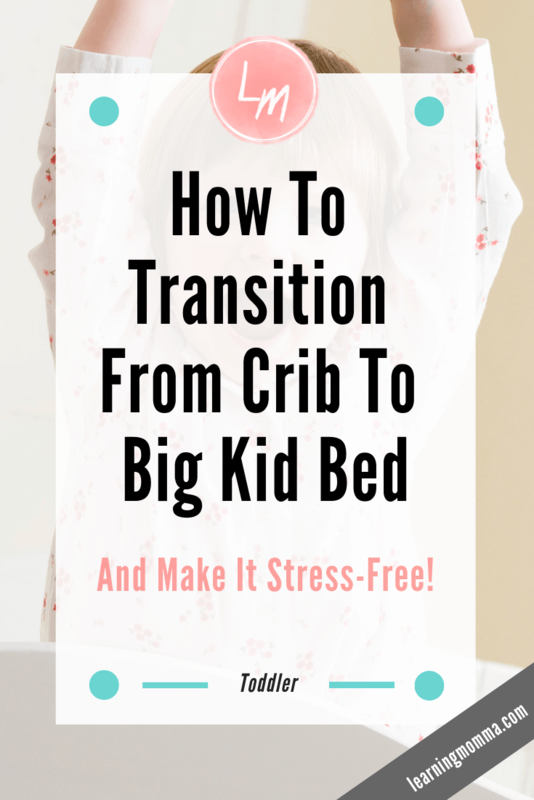 If you are also on the fence about making the transition from crib to bed or are about to take the plunge, I thought I would share a few tips from our experience in hopes that it helps to make your transition just as smooth! When To Make The Crib To Bed Transition. We knew she was ready because she actually started asking about it! I couldn’t believe it when one day she pointed to her crib railing and asked me to “take it off.” She did this on more than one occasion. Since she was 2 1/2 at that point we knew it was time. Every child is different and may have a different timeline. I’m glad we didn’t transition our daughter any sooner, but I think it would have been difficult to her budding independence to wait any longer. There is no right or wrong answer for when to convert crib to toddler bed or move your toddler to a new bed, but my advice would be to wait later rather than to rush the transition. 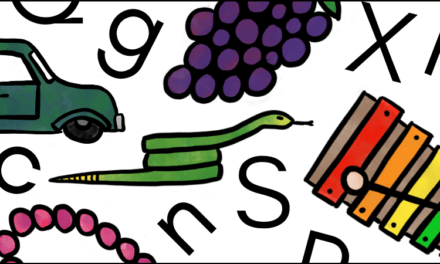 If you’re not sure if your child is ready for the transition you can also read some helpful points for consideration from PARENTS here. 1. Decide whether you are moving your child to a toddler bed or a twin bed. Maybe you’ve just assumed that when your toddler moves out of their crib that they will move to a toddler bed or that you will just transition their crib. There is nothing wrong with this option! However, if you haven’t thought about moving your toddler from their crib directly into a twin bed, I highly encourage it! Moving a toddler directly from their crib to a twin bed eliminates the need for another big sleeping transition down the road – AND it eliminates the need for multiple furniture purchases. It also gets your child used to using tucked in sheets instead of loose blankets. If you are worried about the height of a twin bed for your young child, check out this Zipadee Kids bed that I love. (You can make it a bed with railings almost directly on the floor to avoid falls and transition it to a standard twin bed as your child gets older.) You can also just put a twin mattress directly on the floor for a season to avoid major falls from a twin bed – that’s what we did when we made the crib to bed transition with our daughter! There is no right or wrong answer when it comes to choosing a toddler bed or a twin bed. If simply transitioning your crib to a toddler bed saves you money and time or you like the space saving aspects of using a toddler bed, than go for it! There are all kinds of cute and functional options for toddler beds out there as well – even some that pull out into a larger size later on. 2. Include your child in the process. To ease your child into the big transition from crib to bed, it may help to bring them into the adventure of doing the work. Our daughter went shopping with us for her new mattress and sheets, watched my husband disassemble her crib, and helped me bring up and tuck in all of her new bedding. It really built up the excitement of the transition for her and gave her mind time to process it instead of one day going up to bed and finding a whole new setup! If you are going directly to a twin bed for your little one I just wanted to point out that you can get very affordable twin mattresses at Walmart and Big Lots. I searched all over the internet and sought out advice from some friends when we needed one for our daughter and these stores offered the most affordable options that we could find. On a sale weekend we ended up getting a crazy deal for our twin mattress from our local Big Lots! If you are shopping for a mattress on a budget, be sure to check them out. Again, my favorite bed is available here in in twin or full sizes. 4. Make the new bed fun! I don’t know how much this specifically aided in the crib to bed transition for our daughter, but we made a point to get her really fun new “big kid” sheets for her bed. Since she had never slept in a bed with sheets before it was a big deal that she got to cuddle up with her “fishy” (Finding Dory) sheets every night. We also made this a part of involving her with the transition process. She picked the sheets out at the store herself. You can find all kinds of fun kids sheets for twin beds on Amazon, but again it was an exciting part of involving our daughter in the transition process to have her pick sheets out off of the shelf at the store herself. 5. Make use of your old baby gate! If your toddler can open door knobs at the time of the crib to bed transition, then it may be time to dig out your old baby gate! Using a baby gate in our daughter’s doorway the first few nights after we transitioned her out of her crib gave me peace of mind. I didn’t have to worry that she would quietly escape her room and end up wandering the house while I slept. We still closed her door for the night while using the baby gate, but we placed the gate in the door frame on the hallway side so that if she opened the door she wouldn’t be able to easily walk out of her room. Since our daughter was so used to waiting in her crib for us to come and get her when she woke up, she actually just sat on the edge of her new bed singing each morning for the first several weeks – so we didn’t have to make much use of the baby gate. However, having it in place still gave me peace of mind as I adjusted to the crib to bed transition! 6. Limit toys or other accessible activities in the room. We didn’t allow our daughter to keep toys in her room before and during this transition and I think it was extremely helpful to the process. If your child does have a lot of fun activities or toys in their room, it may be worth clearing them out until you feel that their sleep won’t be influenced by the enticing thought of getting up and playing with it all. Our daughter has been in her new “big girl bed” for a couple months now and we are considering moving some toys into her room so that when she wakes in the morning she can read a book or entertain herself for a bit. However, we are very glad that she did not have anything to get out of bed and play with during the transition period. 7. Be consistent with any new rules. When it comes to the search for “how to keep toddler in bed,” I can’t stress this point enough. I think this may be the #1 thing that helped our daughter’s transition from crib to bed go so smoothly. Whatever new rules you set for things like whether your child can walk around during nap time, open the door and come downstairs themselves, etc., my encouragement would be to try to stay as consistent with them as you can. For the first couple of weeks after our daughter began sleeping in her “big girl bed” she slept extra well! She had no problem through the night and she was actually taking longer naps. She would wake up sitting on the edge of her bed singing, waiting for us to come and get her as if she was still in a crib. However, after the initial adjustment period we had a couple of weeks where she realized she could get up and walk around and consistently wanted to do it. We had to be very firm with our rule of “no walking” after she was tucked in. She did miss a nap or two during this phase and had more trouble settling to sleep. However, with consistent enforcement of our “no walking” rule, the phase was short and we experienced very little additional trouble with her adjustment to her new sleeping arrangements. Every family, child, and parent is different so our rules might not be yours. 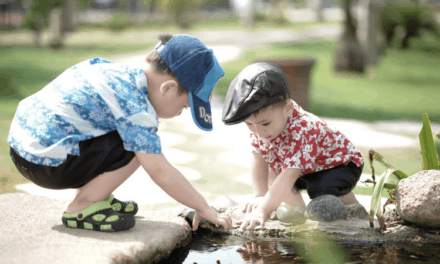 My encouragement would simply be to be as consistent as possible with any new rules that you might put in place so that your child understands his or her expectations. Last but not least I would encourage any parent about to undergo the crib to bed transition to just be patient. Every child and situation is going to look different so there’s no guarantee of what you will experience. Things like a child’s current sleeping patterns, personality, and age could all impact the transition. 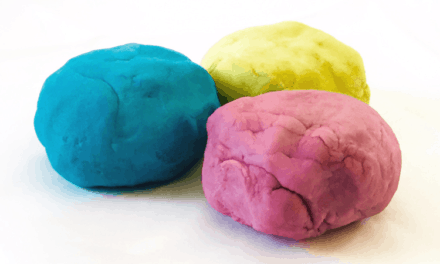 You know your child best, so maybe there are some unique ways you can think of to help your child through the transition and make it a fun experience for them! If you are in process of or about to undergo a transition from the crib to a bed for your child then it’s my hope that some of these tips from our experience were helpful to you. None of these points are one size fits all and no two children are the same, but these things all contributed to a very smooth experience for us. Best wishes as you take on the milestone!